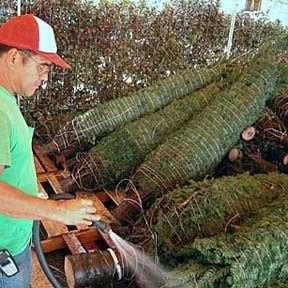 Forest Products Group manager Mele Turner watered down Christmas trees in Manoa. The long-lasting trees are for commercial clients who wanted them early. Matson's largest tree shipment arrives Saturday, and trees go on sale Sunday morning.